Despite laws that protect the rights of special needs children, ensuring those rights are met isn’t as easy or straightforward as parents think. Youngsters are routinely shuttled among schools, expelled and forced to prove their behavior is a result of their disability. Parents often aren’t aware of or understand their child’s right to special education and the necessary procedures to ensure special needs due process. Kari is working to empower parents on those issues on behalf of their children. Kari's experience makes her uniquely qualified to educate and defend the rights of youngsters with disabilities. Her experience with the system began when her son was in preschool. 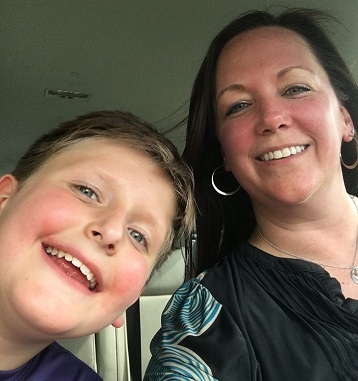 Ethan was diagnosed with ADHD in kindergarten and began receiving special education services through a required Individualized Education Program (IEP). He was later diagnosed with general anxiety disorder and received a diagnosis of autism spectrum disorder in third grade. He has most recently been diagnosed with auditory processing disorder and mixed receptive-expressive language disorder. Ethan received 14 school placements in six years. Kari has participated in nearly 20 IEP meetings, successfully defended a Manifestation Determination Review, and was forced to file a formal complaint with the state’s Department of Education. She filed appeals concerning the state’s restraint and seclusion laws and participated in a resolution conference. Kari then endured a nine-day due process hearing encompassing 27 witnesses that resulted in 2,200 pages of transcript. Her experience is representative of the challenges parents face when navigating the confusing and frustrating labyrinth of rules, regulations and laws that ultimately impacts all aspects of a family’s life. Special education and special needs due process is a right to which all children are entitled.